I played 1&2 and never finished 3 on PS3. Shallow gameplay, but enjoyable. I am loving the dad of war trailers. I didn't like angry kratos in the previous games as there was almost no reason to be as angry as he was. His temper tantrum was overdone by the third entry. I'm pretty sure if someone tricked me into killing my wife and child. I would go full Kratos and kill that person and anyone associated. 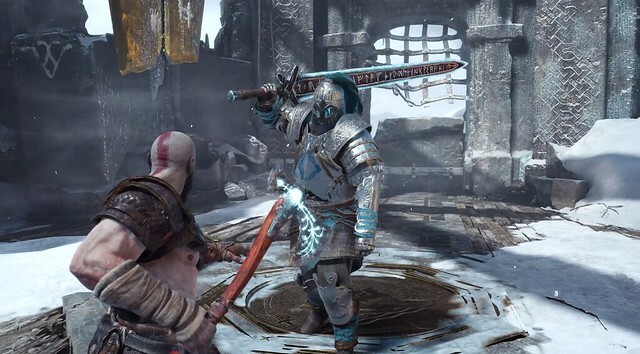 I'm digging the crossing over mythology, are we going to see him fight Odin and the northern gods and mythical creatures, think of the fantastic boss fights.. I think we'll kill less of the gods this time around, though perhaps interact with them, that's going to be interesting. Can't wait for a god of war game with 10x depth and some good old hack and slash. My question is, with so many women, kratos must have had more than one son.